I never used to really go to Lancome for makeup. I of course used their Star Bronzer and have used their mascaras over the years but I have always steered away from the makeup range. If I am being honest I always thought that their makeup was for the more "mature" lady, I get a grown up vibe from the counters and the promotional pictures. Earlier in the year my lovely friend Andreea at Your Beauty introduced me to the products and once I started using Lancome products I realised what amazing quality they were. 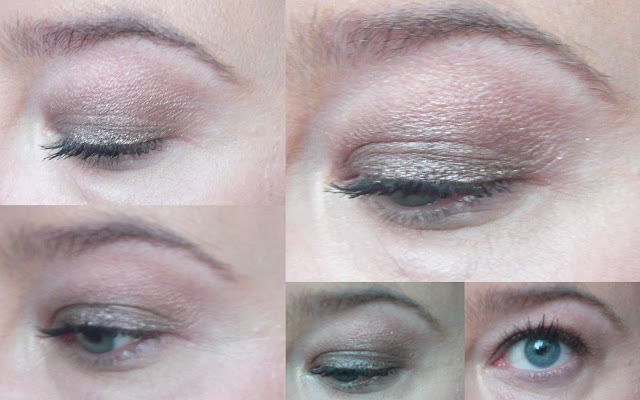 One of the first products I was introduced to were the newly formulated and packaged eye shadows. 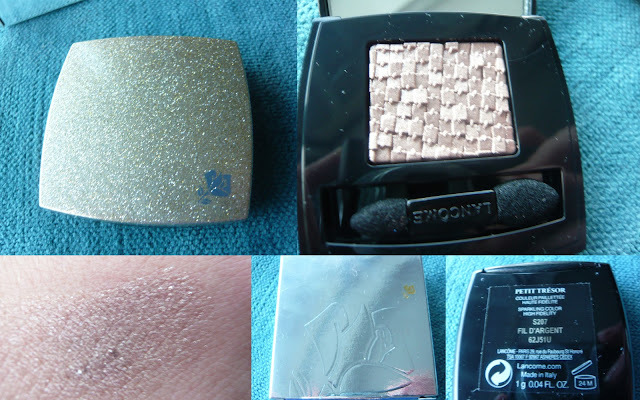 When you start using Lancome shadows, your MAC shadows will be tossed over your shoulder and you will not look back. I have become a bit of a Lancome convert and when I saw some of the products due for the Christmas collection I was very excited. Can I start by just saying that I HATE the promotional picture that goes with the collection - I love the picture of the makeup but I don't understand why the model is pictured twice? (answers on a postcard). I think the makeup in the collection is stunning but I am kinda left cold by the visual. Emma Watson is one of the new brand ambassadors and I am excited to see how they use her to attract a younger brand audience. The Christmas collection is a wonderful edit of wearable and pretty golden shades and I have to admit it was really hard for me to pick just two items. What I love about this collection is when you're wearing the shades they enhance your look, people comment that "you look well" not that "your makeup looks well". 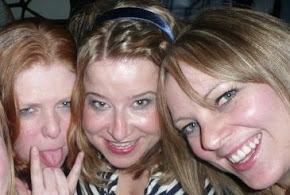 The products really help you to shine. My first pick is Ombre Hypnôse Mono in Fil d’Argent (is it wrong I want all three of the eyeshadow shades?). Not only have Lancome jazzed packaging up for Christmas with pretty golden packaging, they have also created a fancy taupe (I already have another Lancome taupe that is stunning but this one blows it out of the water). You would think that taupe is taupe, but Fil d'Argent schools all other taupes. This a wearable pretty shade that can be used wet or dry - I love eye shadows that you can use wet or dry as it means that you can increase pigmentation and create a different look out of one shade. If you don't believe how stunning these shadows are go and have a swatch, they are so soft and buttery. The eye shadows cost €25.00 each which is on the spendy side but the quality of the shadows is amazing, I guarantee that once you swatch them you will be hooked. My second choice is Ombre Les Paillettes aux Yeux in À la Belle Étoile which is a loose pigment in a apricot/light rose gold shade. This is going to be hit or miss with some people, Sile reckons it's a bit messy but I think the shade makes it worth while. 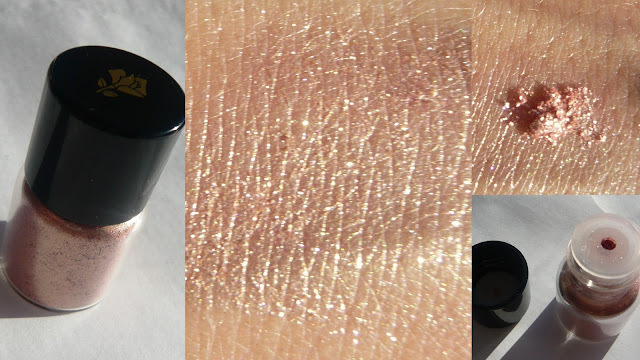 I have been using this all over my lid as a light colour and then using Fil d'Argent on the lid (and sometimes wetting the shadow and using it as a liner). I am planning on using this as a highlighter on my cheekbones (well to create some cheekbones) and along my shoulder blades (again to create shoulder blades) over Christmas. This pigment costs €24.50 and I can see it lasting forever. 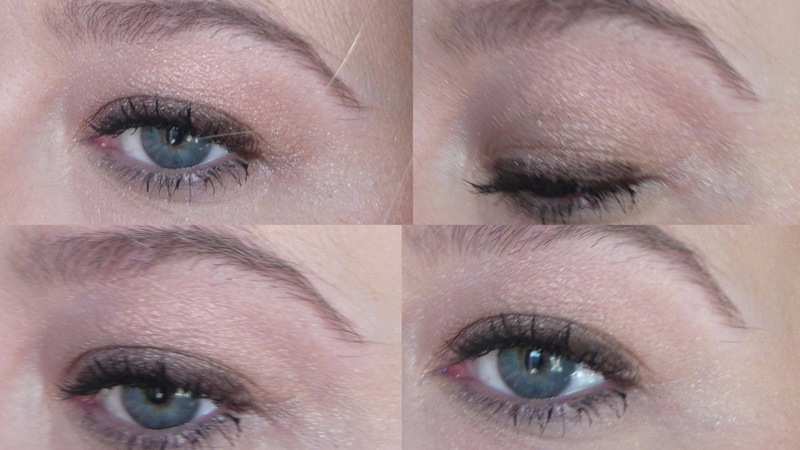 I have the pigment here over my eye and used the shadow as a liner for a pretty and simple look. Here I blended the shadow up the lid and used the shadow wet all along the lid. As I have said I found it very hard to just pick two things (the liner in Jazzy Taupe has my name written all over it). 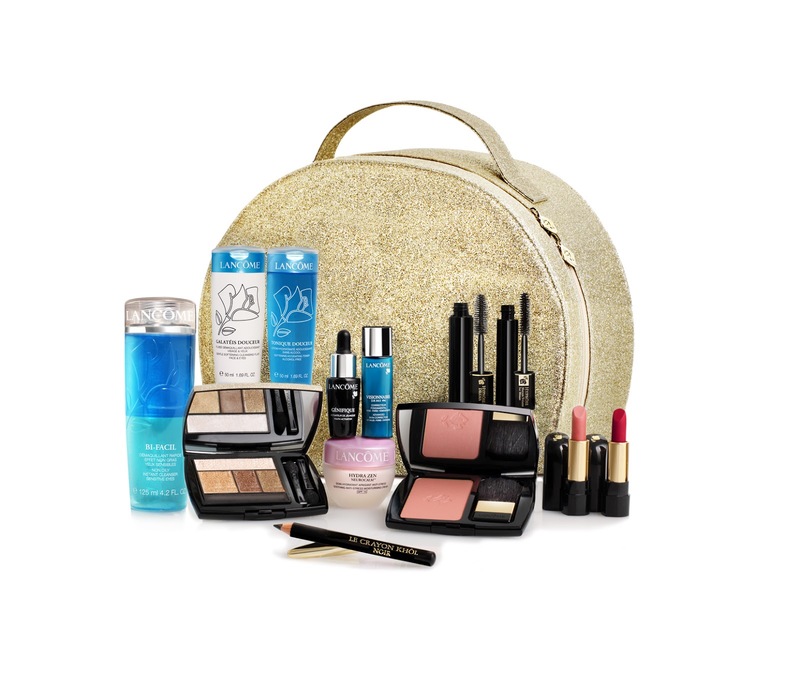 Also available from Lancome this Christmas is a pretty amazing beauty box. When you spend over €35.00 (that will be the gold eyeshadow and jazzy taupe liner for me) you can purchase this amazing beauty box for €50.00. Let me put the value in perspective for you. The full size Bi-Facil makeup remover is €28.00 and the blusher would be over €36.00 - that is already over the €50.00 and I have only mentioned two items. ﻿So even though I don't like the advertising campaign for the Christmas Collection from Lancome I am absolutely in love with the products, the quality really is outstanding. I will go as far to say that this is my favourite makeup collection this Christmas. The products really proved themselves to me and it was my mistake to think that Lancome was for the more mature lady - I love them and I am not in the least mature.